Mumbai Maharashtra, Mumbai India, Mumbai Tourism, History of Mumbai optimatravels.com. 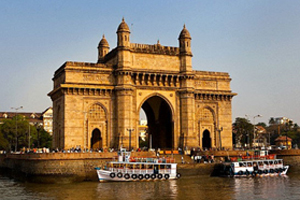 On the Arabian Sea, in the west coast of India, is situated Mumbai, the Prima Urbis (the City Beautiful) of India. It has an odd history. 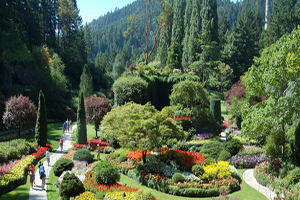 Once in commercial contact with the Assyrian, the Persian, and the Roman empires, by 2nd AD century it was called by Ptolemy as Heptanesia—the group of seven isles, cut off from the main land by creeks, swamps and hills. 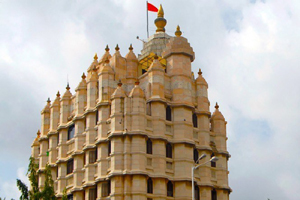 Mumbai's direct contact with the West goes back to the early 16th century. The Portuguese General, Albuquerque, conquered Goa in 1510. In 1534, according to a treaty with Sultan Bahadur Shah of Gujarat, he got control over an area that contained today's Bombay. The Portuguese evidently did not look upon Bombay as a valuable possession. When, in 1661, Catherine de Braganza, a Portuguese princess, married Charles II of England, Portugal gave over to the British prince as a dowry the port and island of Bombay and all rights, profits, territories and appurtenances thereunto belonging." 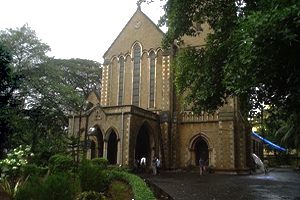 The Portuguese settlers and officers in Mumbai appealed to their king not to cede Mumbai to the British, but in vain. In February 1665, the Portuguese Mayor of Mumbai was obliged to hand over the key of Bueno Bahia—the Beautiful Bay—to Humphrey Cooke, who represented the English royalty in the ceremony. 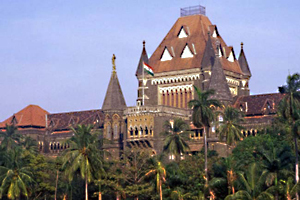 King Charles II’s evaluation of the property went up to an annual rent of ten pounds for it is at that rate that he rented it out to the East India Company who, according to the terms of the agreement, was to become the "true and absolute lords and proprietors of the port and islands of Mumbai." The most memorable vestige of the Portuguese rule over Mumbai is the fort built by them, the battlements of which still overlook the Arabian Sea. Once in a while, seamen who camp there report of being spied upon by an apparition strolling in a lonely nook of the fort! 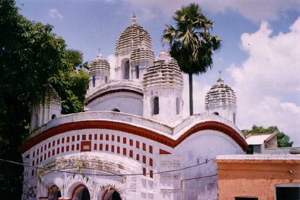 It is believed to be a Portuguese captain who used to come there for a secret rendezvous. That was three centuries ago. The Portuguese Governor had a beautiful daughter. 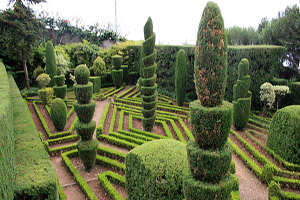 In fact, her family had sent her to live with her father because, at Lisbon, she refused to marry an eager bridegroom who, though an elderly aristocrat, was a debauch. Her sojourn at the village-like Mumbai of those days was meant to be an exile for her. But the vivacious, young lady changed her exile into a romance; thanks to the advances made by a daring young captain. At twilight the two used to meet the aforesaid nook. All was rosy for them until one day the Governor learnt about the affair. The girl was shipped back to Lisbon. The boy, as soon as he reached the nook to keep his tryst, was captured and thrown into a nearby dungeon where he died. His spirit haunts the place to this day! In those days the seven isles or Mumbai were separated from one another at high tide. At other times muddy stretches, if not the low sea water, surrounded each of them. 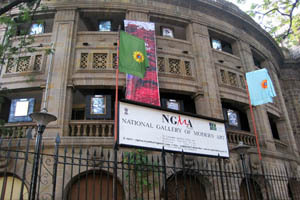 But under the Company, Mumbai developed rapidly. 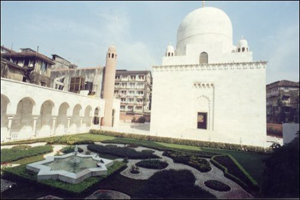 Reclamation of land, construction of docks, industrialization and its administrative importance as the headquarters of the Mumbai Presidency when the British rule was firmly established, contributed to the process. Slowly the gaps between the islands were bridged. 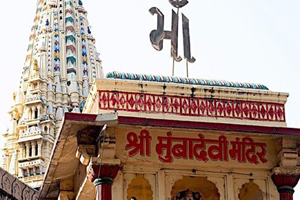 The city owes its name to Goddess Mumbadevi or Mumbabai or Mumbai which are perhaps the popular versions of the deity's original name Amba Bhawani. 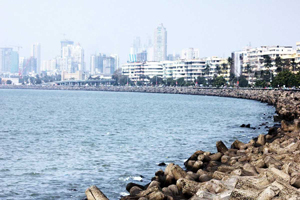 She is the patron goddess of the fisherfolk, the oldest inhabitants of Mumbai. 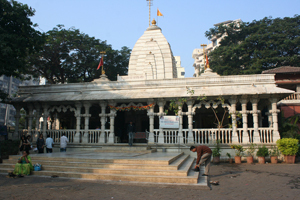 Her temple continues to be an important landmark of the city. It was from Mumbai that the first Indian locomotive steamed down to Thana, in 1853. 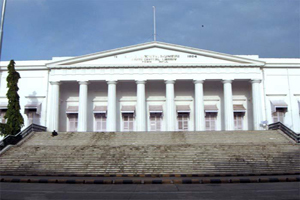 The first session of die Indian National Congress in 1885 was held in Bombay. 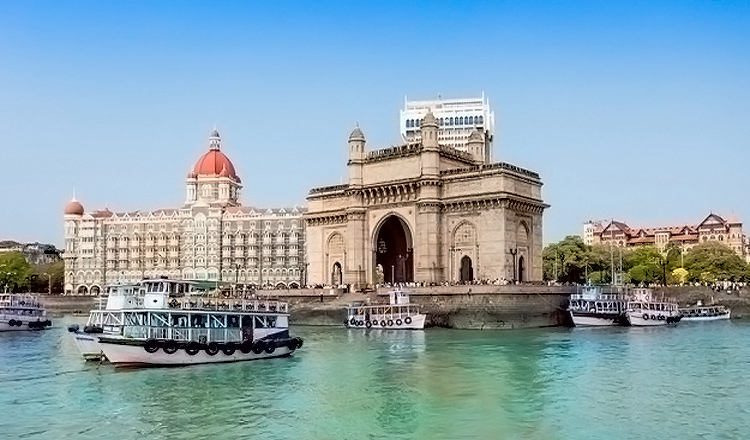 Mumbai is famous as the 'Gateway of India', because after opening of the Suez Canal in 1869, Mumbai became the first calling station for ships sailing from Europe—her port one of the finest and largest in the world. 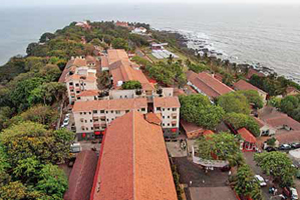 Mumbai’s industrial rise began with a few textile mills. It soon became the country's industrial metropolis. 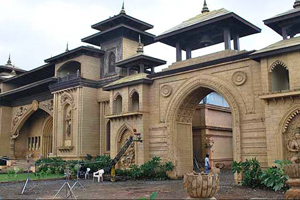 The largest number of movies in the world is produced in Mumbai. 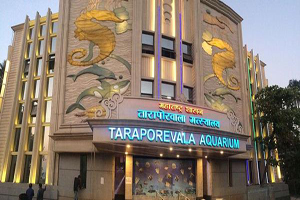 The city is a colourful racial and linguistic mosaic The Maharashtrians. 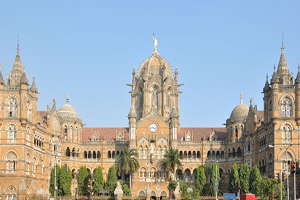 Mumbai is the capital of the state of Maharashtra. 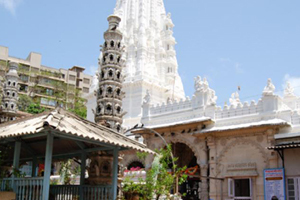 Gujaratis and South Indians apart, a group of Parasis who fled their country, unwilling to give up their Zoroastrian faith, made Mumbai their home and have contributed immensely to the progress and prosperity of the city. For long Mumbai was more European than Indian. As Jawaharlal Nehru wrote in his Discovery of India: "In Mumbai there used to be quadrangular cricket matches between four elevens made up respectively of Hindus, Moslems, Parsees and Europeans. The European Eleven was called 'Bombay Presidency' the others were just Hindus, Muslims, Parsis. Mumbai was thus essentially represented by the Europeans; the others, one would imagine, were foreign elements who were recognized for this purpose." Things have entirely changed. 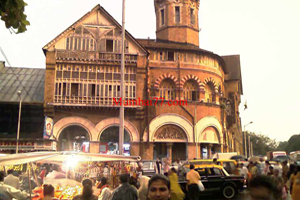 But each historical phase has left a stamp on the life-style of Mumbai that is fascinating. 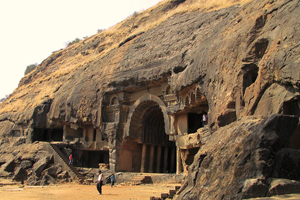 Mumbai, apart from having many institutions of tourist importance, is studded with a number of significant monuments like the Elephanta Caves and the Kanheri Caves—around it.